Impenetrable casing. 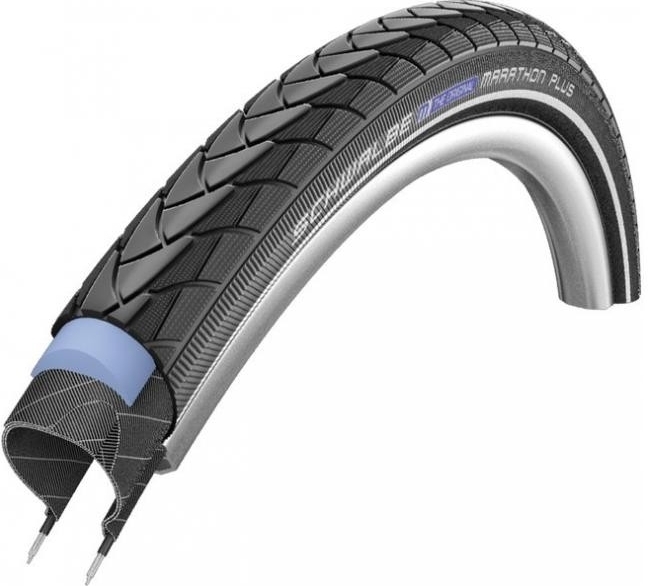 Best selling coat from Schwalbe. Best protected cloak against defect. 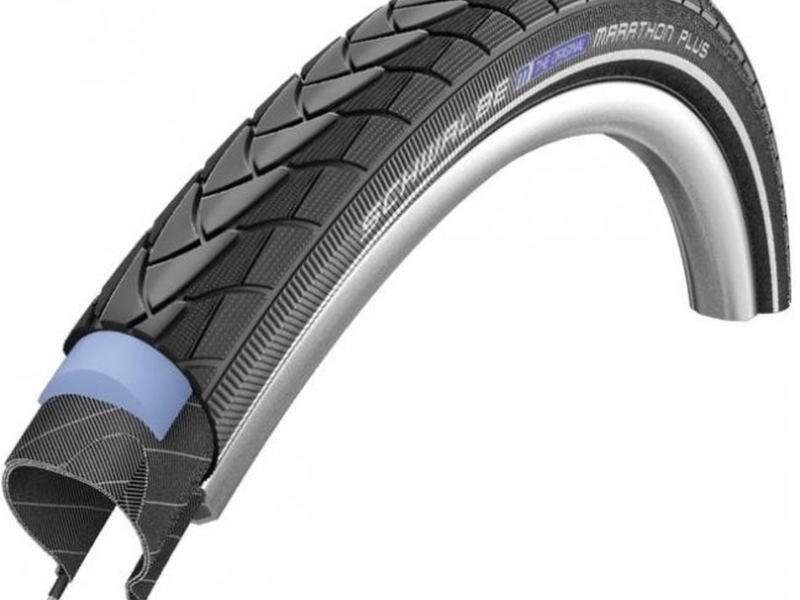 Rolling resistance. The patented, 5-mm thick SmartGuard insert has a significant advantage over all other imitations in low rolling resistance. Recycling. We also use partially recycled rubber from old latex products at SmartGuard. The anti-aging sidewall of the casing. Typical damage by driving under inadequate pressure significantly longer before ugly cracks appear. E-bike ready. The most important sizes are typified and tested for e-bikes up to 50 km / h.